All Progressives Congress (APC) state governors from the North east region have unanimously endorsed President Muhammadu Buhari for the second term at the end of the APC Zonal Meeting held in Bauchi,Sunday based on the tremendous achievement recorded since his assumption of office in 2015 to date. The governors and other national and state stakeholders also assessed the performance of President Muhammadu Buhari and resolved that his federal led government has impressively done well, and the president deserved a second term. The endorsement was made at the end of a two day APC North East Zonal meeting held at the Banquet Hall of the Government House Bauchi. The state governors who attended the meeting in Bauchi include Governor Kashim Shettima of Borno State; Governor Bindow Jibrila of Adamawa State; Governor Mohammed Abubakar of Bauchi State while other APC stakeholders in attendance include the National Secretary of APC, Senate Leader Ahmed Lawal; former governors Isa Yuguda of Bauchi and Modu Sheriff of Borno State among others. The APC from the North east zone further endorsed President Buhari’s second term bid, saying he has performed credibly well better than previous administrations. 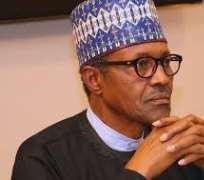 The APC National Vice Chairman, North east , Malam Mustapha Salihu said President Buhari has done much for the north east region in terms of security, provision of infrastructural facilities and agricultural development among others. “The meeting is also to reiterate our support in 2019 by giving him triple number of votes as against what was given to him in 2015. “On the whole, the meeting is to map out strategies with the stakeholders to see how we will go about the forthcoming general election to re-elect Buhari for a second term,” Mustapha said. Speaking also, Governor Kashim Shettima of Borno State said, " the president has done extremely well, as the north east region is a net beneficiary of his administration". “We all know the sorry state of the country, we are the net beneficiaries of President Buhari’s administration in terms of appointment, securing lives and property and projects. “Because the Mambilla hydro power project in Gembu Taraba alone is a game changer in this part of the world. “Therefore North-east is Buhari’s territory; believe me the sub-region will solely back him in 2019 general election, Shettima said. The Senate Leader, Alhaji Ahmed Lawan said, "senators of APC are more united after the defections and will continue to support the present administration on efforts to provide development in the country." “We are committed, loyal, patriotic and we will continue to support the president to actualize the wishes of Nigerians, and we will be committed party members who are supporting the continuity of the present administration. “The 2019 general election will be determined by integrity, history of candidates, and we know how they destroyed the resources. “People should remember where we are coming from and where we are right now. “Buhari has done a lot of very good programmes and projects. Some have been concluded but there is still a lot that needs to be done. ”So we need to vote and return him as president so that he can complete the good work he has started,” Lawan said. The APC National Secretary, Alhaji Mai Mala Buni, also, " said Buhari had performed well in all sectors of Nigerian society." ”President Buhari has performed well in all segments, namely: education, technology, employment, insecurity, appointments and others. “I therefore urged all eligible voters to come out and vote for him in 2019", Buni said.